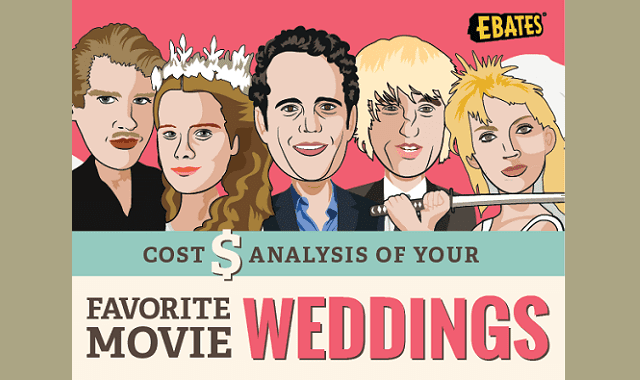 Cost Analysis of Your Favorite Movie Weddings #Infographic ~ Visualistan '+g+"
Whether it's walking down the aisle in Princess Buttercup's gown or getting an entire chorus to sing "All You Need Is Love" after your first kiss, you've probably dreamed that your own wedding could be just like the ones in the movies. That got us thinking: How much would it cost to throw some of our favorite movie weddings? More importantly, is it possible to throw our own silver-wedding without a billion-dollar budget?